The forum now has a brand new image hosting and Photos Gallery. The new Gallery far exceeds the older gallery in features and is much more user friendly. Upload limit per image is now a mighty 5MB. It is fast and secure, with images backup up instantly to secure cloud servers. Images are delivered by CDN edge servers around the world so they also load pretty quickly wherever you are viewing them from. Links are also automatically generated for use on the forum. We were thinking about introducing the new Gallery anyway at some point but it's been brought forward due to the recent Photobucket farce. Unless you sign up for a new $399 Photobucket account then you can no longer post those images into forum posts. Some existing paid PB accounts have a reprieve until next year but they too will also eventually expire. I know some people who use Photobucket are still seeing their images in posts, however we do cache images for up to a month so it's quite possible that will change and they will disappear from posts. We're trying to save as many of those images as possible before they are no longer available. So although some posts have the infamous image above we do in fact have a copy, it's just going to be a while before we can update them. Consequently, we kindly ask that you cease to use Photobucket on the forum with immediate effect. No problem - New Gallery doubles as a Image Hosting Service ! Instead of just being a Gallery for your pics it also doubles as an image hosting solution. This is on purpose as we wanted somewhere for members to host their photos and keep them in albums as they wish. It far exceeds Photobucket and other image hosting sites in many respects. Importantly it's easy to use, quick, and secure. The facility is for members only, you can store your pics and if required embed them easily into forum posts. The new Gallery does require you to create a seperate account as it's held on a seperate server that's optimised for image hosting. Hopefully this will change in the future but we wanted to get it up and running ASAP. However, don't be put put off by that, once signed in it's really quick to upload images and the bbcode links are instantly generated so you can paste them into your posts. You can upload up to 40 images at a time. If you wish to use the Photos Gallery area then you are welcome to do so. 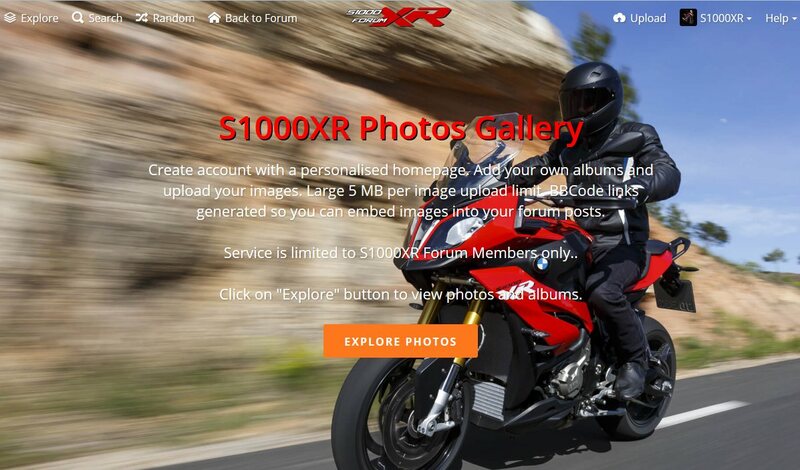 It will ensure that photos in posts are never lost forever for future members who become XR converts. If you wish to use another external image hosting company then please be aware then others are likely to follow the Photobucket lead. Quite a few of the free ones are indicating that they will switch to paid accounts. Unfortunately hosting images is expensive which inevitably is a unsustainable business model for the free image hosting companies. Even with advertising it does not cover the costs. We can only provide it as we already have the infrastructure in place and forum members won't be uploading millions of pics, a few thousand we can cope with ! Importantly, posting images into posts from free providers runs the risk that they will disappear once again in the future. All the members albums and images in the Old Gallery have now been migrated to the new Gallery. If you had an album in the old gallery then you already have an account setup in the new gallery. We'll be sending out details to you by pm over the next 24hrs or so.